The biggest local chili party of the year is coming up this weekend in Fayetteville. 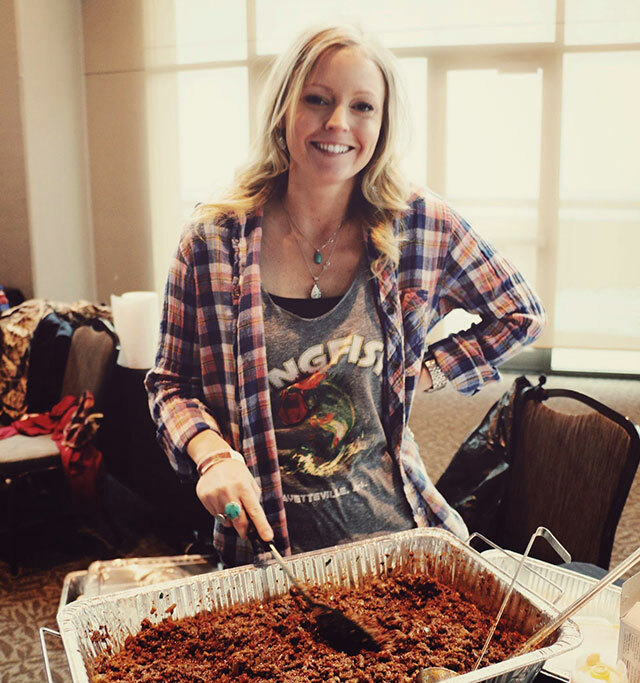 The 14th annual Chilirhea chili cook-off is set for Saturday, Feb. 16 at the Washington County Fairgrounds. The event, which began as a backyard party among friends in 2004 has grown into a huge annual fundraiser for Alzheimer’s Research, raising over $450,000 over the past nine years for Alzheimer’s Arkansas and UAMS Alzheimer’s Disease Center. This year’s event will include over 30 teams competition for the chili making crown. There will be chili, live music, adult beverages, a silent auction, a kids area, and more. The chili competition will be judged by locals from the community, and attendees may also vote in the people’s choice competition. The fun starts at noon, chili will be served until at least 2 p.m., and the party goes until 5 p.m.
Tickets are $35 in advance, $40 at the door, and kids 13 and under get in free. All the chili you can eat and drinks are included in the ticket price, and proceeds from the event this year benefit Alzheimer’s Arkansas, UAMS Alzheimer’s Disease Center, and the Broyles Foundation. Advance tickets are available here. For more information, visit chilirhea.net.